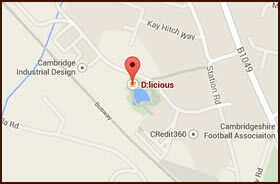 D:licious buffets are tailor made to suit your own requirements. You can choose from our options and if there is anything that you require that isn’t on our list, then please ask and we will do our best to serve you. If you have specific requirements (vegetarian or any particular fillings/choices) we are more than happy to accommodate these. We are keen to emphasise that we do not have a fixed ‘per head’ price/menu, therefore you can choose from just a few sandwiches or something more comprehensive including cakes, savouries, crisps, fruit, drinks etc. We would ideally like notice to prepare your buffet, however if something comes on the day of your requirement please give us a call, we will do our upmost to help. All our buffets are freshly made up on the day of your buffet.